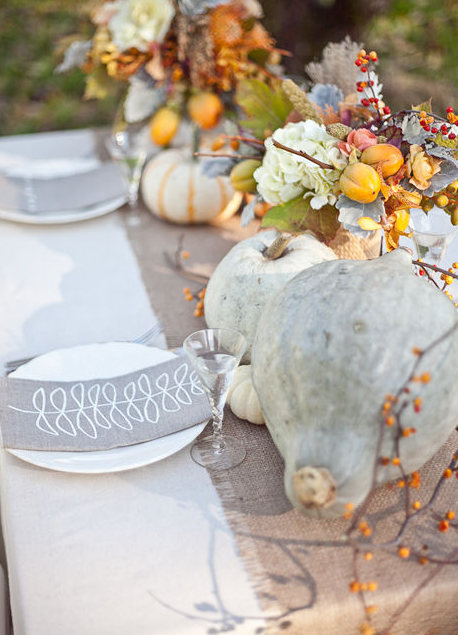 Pumpkins aren’t always orange, fortunately! Now we can enjoy them an array of colors that complement our decor. 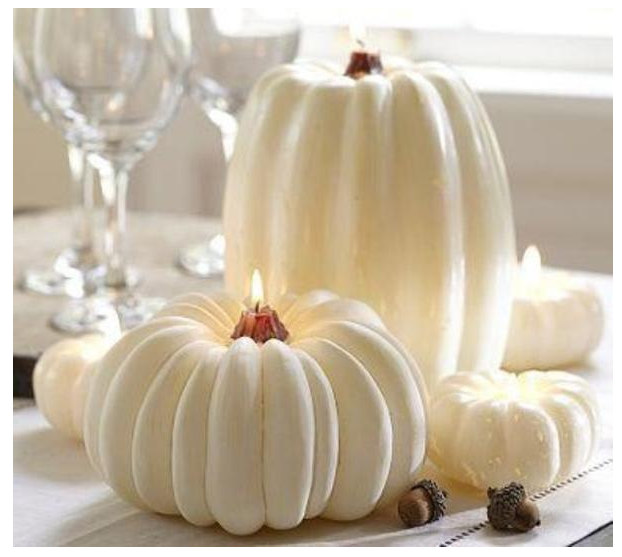 So if you’re creating a fabulous tablescape in neutrals, such as white, here are 23 white pumpkin centerpieces. 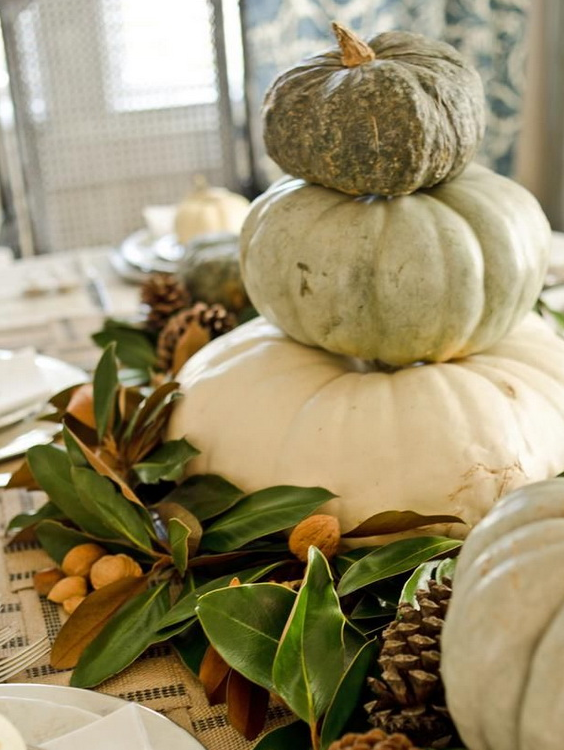 They’re great for a fall tablescape, as well as a neutral Thanksgiving table setting. 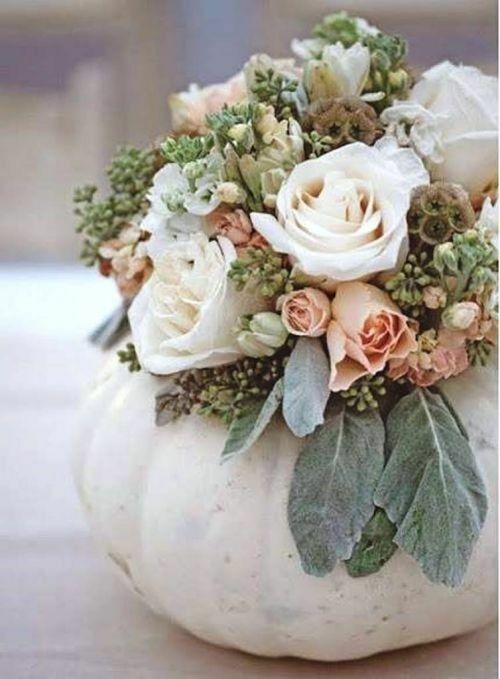 A white pumpkin placed against bright colors also makes a fabulous fall centerpiece. 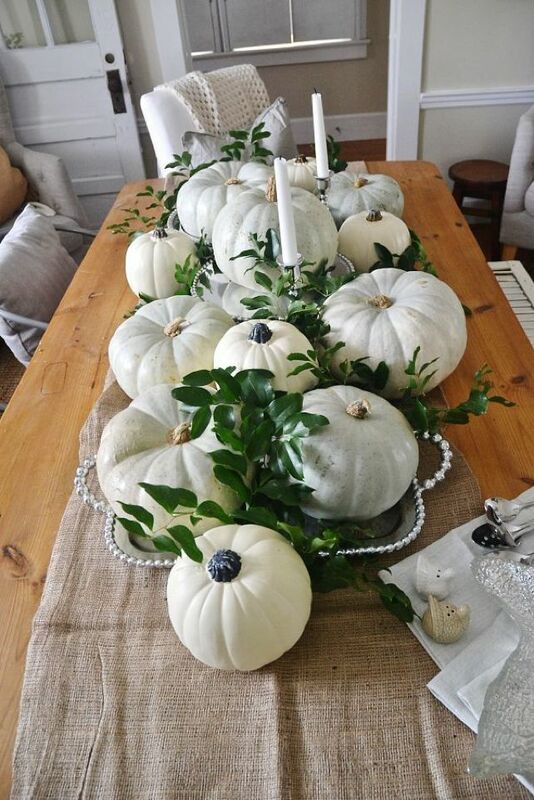 Many of these white pumpkins are ceramic or some other artificial material, while other white pumpkin centerpieces are painted white. 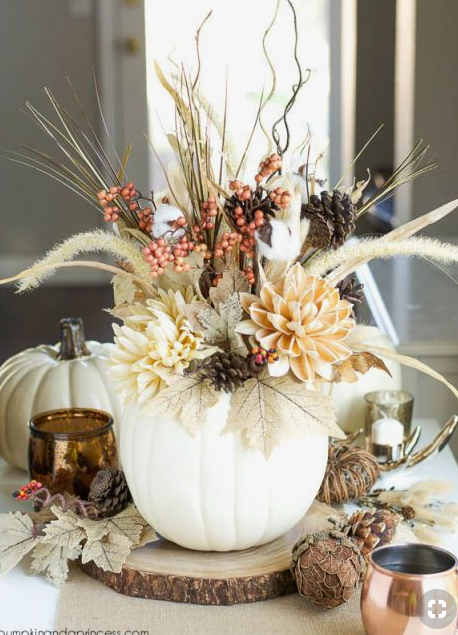 Mix other fall elements with the white pumpkin and give it more interest. 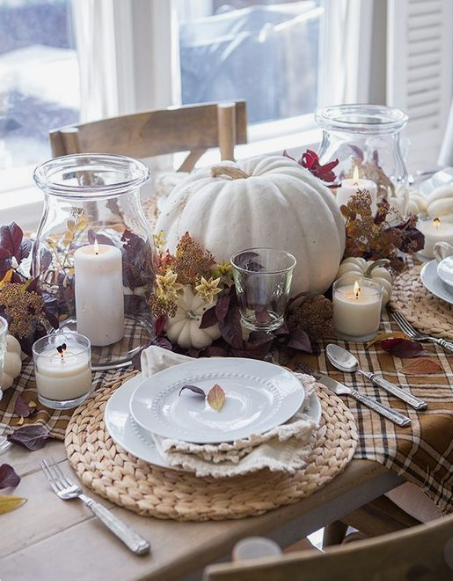 Great step-by-step instructions on how to make this. It was really difficult for me to select a favorite, but I believe this last one is. 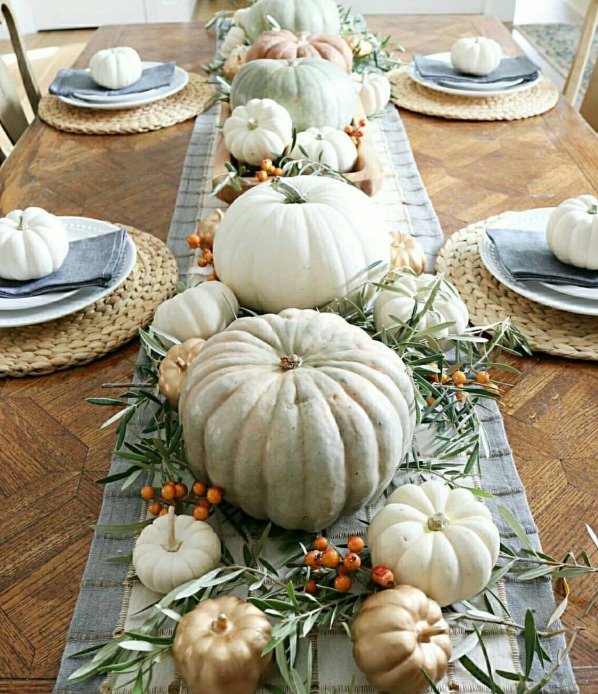 I love the variety of colors of pastel orange and bluish green surrounded by the smaller white pumpkins raised on natural wood pedestals. 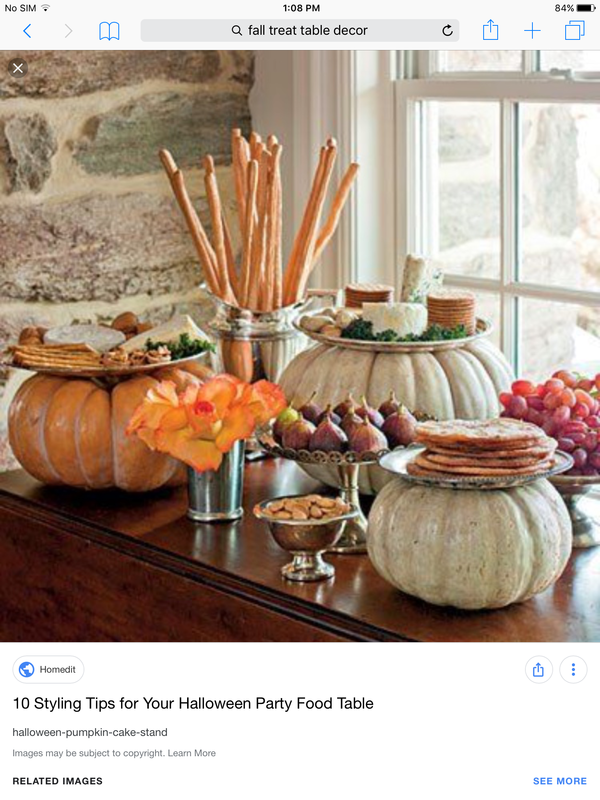 This collection of pumpkins is visually full. Yet, the soft hues, varied heights of elements, including the natural elements makes it dramatic—and worthy of much conversation. 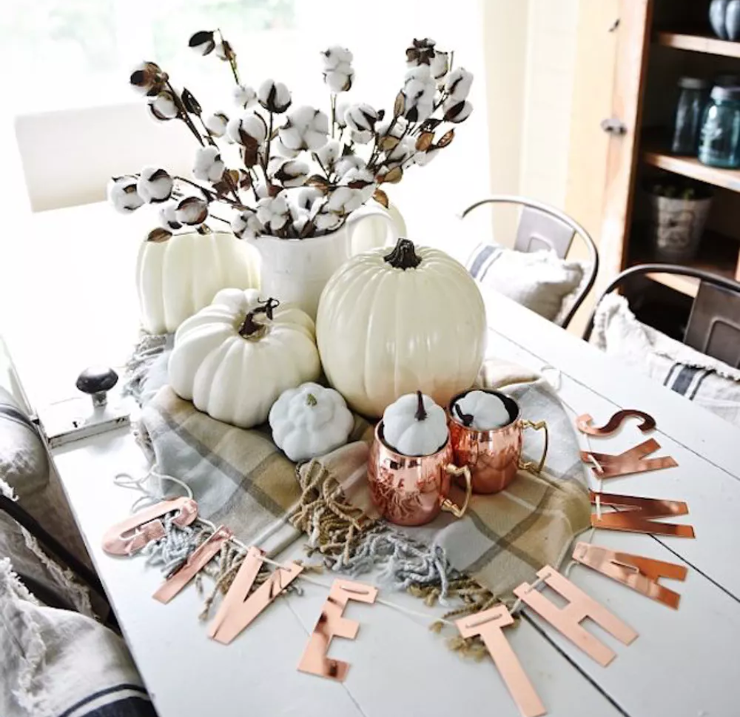 Yes, I guess I would say this final example of a white pumpkin centerpiece is my favorite. 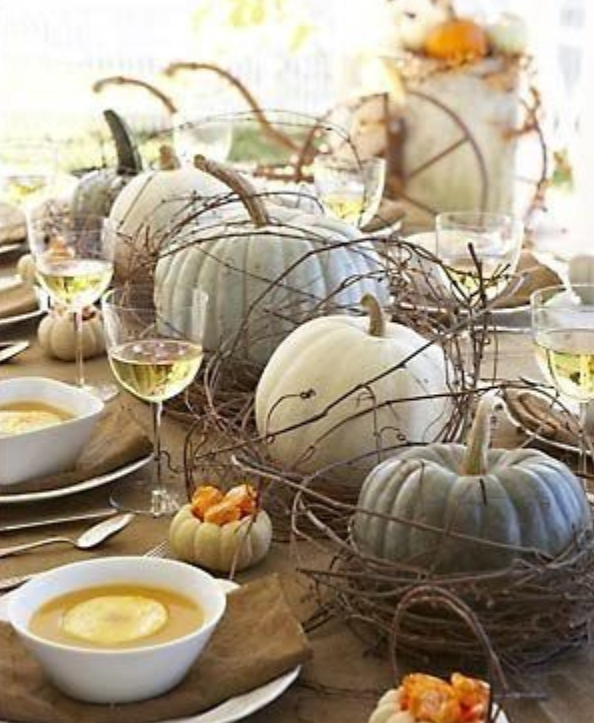 What’s your favorite white pumpkin centerpiece? Do you have one? Or perhaps you simply prefer a different color!